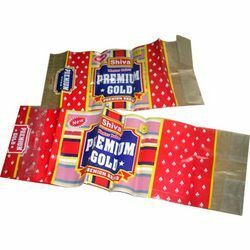 Pioneers in the industry, we offer side seal printed tape bags, snacks cookies bags, industrial packaging bags and snacks cookies bread bags from India. The Side Seal Printed Tape Bags has a flap whip that can be closed. Some bags come with a gum tape to paste the flap closed. They are used to preserve food from spoilage. They are commonly used to pack shirts. They are widely demanded in hospitals, cosmetics, food packing etc. they are used as air tight bags. 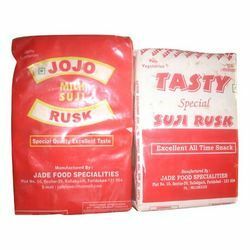 These bags are accessed at reasonable price as per standards. They are available in various sizes and shapes depending upon the requirement of the customer. Snacks Cookies Bags are offered by us are available in vibrant colors, different styles and fancy look. 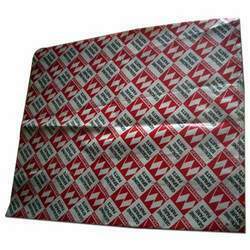 These bags are manufactured using quality measures and are accessed at reasonable price. These bags are known for qualities like durability and flexibility. They are in huge demand all across the packaging industry. We offer customized solutions to our clients as per varied requirements of the clients within committed period. Our clients can avail from us superior quality bags with specified requirements of clients. The Industrial Packaging Bags provided by us, are designed by experts keeping in mind the weight bearing capacity. 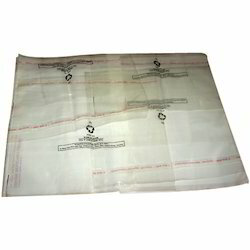 Made from quality non-woven fabric materials, our Industrial Packing Bags are popular for stitch pattern and perfect finish.These Packaging bags are used for packing of the four wheelers' seat covers and other purpose like hand loom products like quilt packing bag etc. Snacks Cookies Bread Bags are provided with entire ranges of bread basket & bread bags are creatively designed with the help of our proficient team member. We also offer this product in several colors and sizes to suit the need of every customer. We also provide customization on our array as per the requirement of clients. Our shopping carry bags are available in diverse sizes and shapes as per the demand of the competitive market. These shopping carry bags are also offered in many colors and designs.